Reddit's interim CEO, Ellen Pao, apologized on Monday for her role in a personnel dispute that led to calls for her resignation and user blackouts of portions of the site. Pao also promised to improve communication between the website and its community of users. Some users and moderators of the popular discussion site have been up in arms by Pao's decision last week to let go of a top executive who was popular with Reddit users. An online petition calling for Pao to resign had collected over 200,000 signatures by Tuesday morning. "Today, we acknowledge this long history of mistakes. 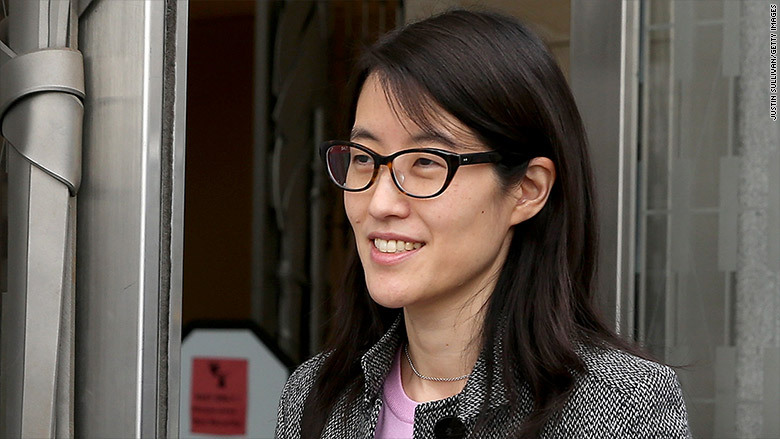 We are grateful for all you do for reddit, and the buck stops with me," Pao said in a statement posted on the site. "The mods and the community have lost trust in me and in us, the administrators of reddit." Pao said "we screwed up" and acknowledged that the administrators "haven't communicated well." The company is working on building tools for moderators and providing different search options and she also introduced a new liaison for moderators, Pao said. "I know we've drifted out of touch with the community," she added. "I and the team are committed to talking more often with the community, starting now." Pao's apology comes after moderators shut down many of the site's most popular pages last week. More than 100 subreddits on a wide variety of topics -- from gaming to movies to science -- were closed down by their moderators, unpaid volunteers who oversee those pages, as a protest over the dismissal of Victoria Taylor, Reddit's director of talent and communications, who was let go on Thursday. Taylor served as a liaison between the moderators and Reddit, and coordinated the site's wildly popular Ask Me Anything (AMA) series, where celebrities, political leaders, pop culture icons or simply people with interesting stories would answer questions from the Reddit community. President Obama is among those who answered questions on AMA. One moderator who helped lead the protest against her outster, karmanaut, posted last week that "[t]he admins didn't realise how much we rely on Victoria. Part of it is proof, of course: we know it's legitimate when she's sitting right there next to the person and can make them provide proof... for [Ask Me Anything] to work the way it currently does, we need Victoria. Without her, we need to figure out a different way for it to work." "The moderators feel like they've gotten no love over the last year," a source close to Reddit told CNNMoney. "And the one thing that they had, which was Victoria -- who helped them communicate -- that was taken away without an explanation." Reddit user Chirstian Flodstrom told CNNMoney: "Letting Victoria go was a really big shock to me. She was able to connect and really be the bridge between celebrities and the users of Reddit." Flodstrom says it's a "weird time" when it comes to the relationship between users and the administrators of the site. "It's a constant fight," he says.